Find Aliante, NV Condos for sale. View Photos, Maps and MLS Data Now! Terrasini At Aliante - Ceiling fans in all the rooms & lots of storage. 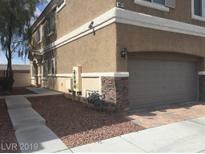 MLS#2090040. Evolve Realty. 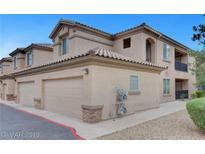 North Valley Court - Comes with Garage, Gated with roving security and easy access to HWY & shopping. MLS#2089639. Love Local Real Estate. Cheyenne Valley - Garage Door Opener, Washer, Dryer, Soft Water Loop, Gas BBQ Stub, Brick Paver Driveways, Ceiling Fan Pre-wires, USB Plugs in Kitchen and Master &MUCH MORE! ! MLS#2089301. D R Horton Inc.
Centennial Highlands - Buyers and Agents to verify all information and measurements. MLS#2088891. Urban Nest Realty. 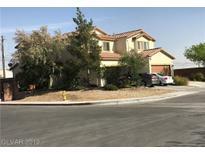 Centennial Highlands - 6 miles to Nellis Air Force Base MLS#2089363. Realty Edge. Cheyenne Valley - It is agood for investor and also for owner occupaid. MLS#2088684. BluePrint Realty LLC. Cheyenne Valley - Buyer must honor CURRENT LEASE through 01 August 2020. MLS#2087745. Coldwell Banker Premier. Terrasini At Aliante - Convenient access to shopping, restaurants & freeways. Super clean & move-in ready. 10++ MLS#2088539. Realty ONE Group, Inc.
Cheyenne Valley - New Construction Home By Dr Horton, Backed By Fortune 500 Company**36" Cabinets**granite @ Kitchen & Vanities**stainless Single Bowl Sink @ Kitchen**stainless Steel Microwave/Stove/Dishwasher/Refrigerator**18x18 Tile All Downstairs & Wet Areas Up**two-tone Interior Paint**8' Entry & Garage Door**garage Door Opener**washer/Dryer**paver Driveway/Walkway**ceiling Fan Prewire In All Rooms**usb Plugs In Kitchen/Master**bbq Stub**plus Much More MLS#2088010. D R Horton Inc.
North Valley Court - Large master with vaulted ceilings/fresh paint. MLS#2085217. Wardley Real Estate. North Valley Court - All furnishings are available for sale outside escrow, just make fair offer. MLS#2087214. 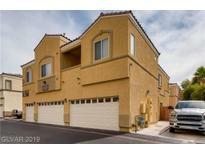 Realty ONE Group, Inc.
Centennial Highlands - Convenient to shopping, freeways, schools, and much more. MLS#2087061. Signature Real Estate Group. Centennial Highlands - On site patrol security. Easy access to the 215. 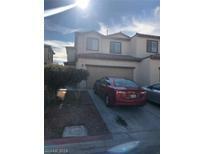 MLS#2087290. NextHome at Your Service. Terrasini At Aliante - *ideal Location Near Schools, Parks & Shopping! MLS#2086581. NextHome Community Real Estate. Centennial Highlands - Pride of ownership on this property, bedrooms are upstairs, like new, nice shiny ceramic tile, 2 car garage, community pool and park, come take a look you will not be disappointed, make an offer today. MLS#2086477. Go Global Realty. Cheyenne Valley - Grand master suite w/ spa like retreat! Move-in ready!!! Get in today! MLS#2082669. Maxim Properties. Centennial Highlands - Don't wait to long to see this one. MLS#2085158. Advent Realty Group LLC. North Valley Court - Hoa Includes Water And Sewer. Community Pool, Grass Play Area MLS#2083976. Windermere Excellence. 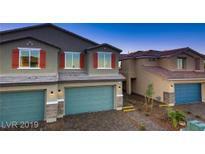 Centennial Crossing - Peaceful backyard oasis with privacy wall, lush green grass and patio. MLS#2084322. Realty ONE Group, Inc.
Terrasini At Aliante - Catch the spirit of Aliante today! MLS#2084680. Realty ONE Group, Inc.
Terrasini At Aliante - Ready To Move In New AC, New Water Heater & Upgraded Washer and Dryer Stays! MLS#2084288. Ornelas Real Estate. Terrasini At Aliante - Tile flooring with carpet in bedroom only. Convenient to shopping and amenities MLS#2083011. The Mor Group. Cheyenne Valley - New Construction Home By Dr Horton, Backed By Fortune 500 Company**36" Cabinets**granite @ Kitchen & Vanities**stainless Single Bowl Sink @ Kitchen**stainless Steel Microwave/Stove/Dishwasher/Refrigerator**18x18 Tile All Downstairs & Wet Areas Up**two-tone Interior Paint**8' Entry & Garage Door**garage Door Opener**washer/Dryer**paver Driveway/Walkway**ceiling Fan Prewire In All Rooms**usb Plugs In Kitchen/Master**bbq Stub**plus Much More MLS#2083393. D R Horton Inc.
Cheyenne Valley - New Construction Home By Dr Horton, Backed By Fortune 500 Company**36" Cabinets**granite @ Kitchen & Vanities**stainless Single Bowl Sink @ Kitchen**stainless Steel Microwave/Stove/Dishwasher/Refrigerator**18x18 Tile All Downstairs & Wet Areas Up**two-tone Interior Paint**8' Entry & Garage Door**garage Door Opener**washer/Dryer**paver Driveway/Walkway**ceiling Fan Prewire In All Rooms**usb Plugs In Kitchen/Master**bbq Stub**plus Much More MLS#2083383. D R Horton Inc.
Cheyenne Valley - This Is Definitely A Must See! MLS#2082189. Vegas International Properties.